A Southern California start-up backed by Google and prominent venture capital firms announced on Wednesday a technology it claimed could slash the electricity consumption of a wide range of devices like industrial motors, hybrid cars, computers and cellphones. The result could be electric cars that drive farther without recharging, the disappearance of bricklike device chargers and solar panels that generate more electricity, according to the founders of Transphorm. The company, based in Goleta, Calif., has developed a power conversion module that it says cuts energy waste by 90 percent. Currently, about 10 percent of the energy generated in the United States is lost as electricity because it is converted from alternating current to direct current and back, according to Umesh Mishra, Transphorm’s chief executive. The four-year-old start-up has raised $38 million in funding from Google Ventures, Kleiner Perkins Caufield & Byers, Foundation Capital and Lux Capital to develop a new type of power conversion module based on gallium nitride, a compound used in LEDs. 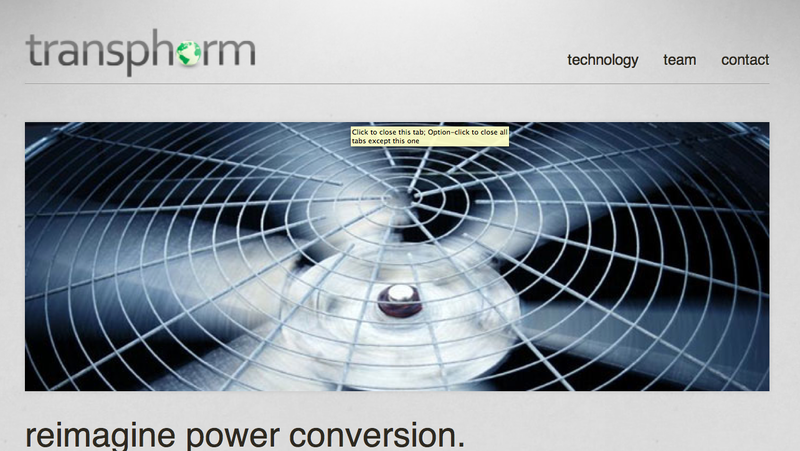 Google has yet to test Transphorm’s power module as the product hasn’t been available. “The opportunity is to take 300 coal plants off grid effectively, said Randy Komisar, a partner at Kleiner Perkins. Mr. Mishra said Transphorm had signed up customers like Yaskawa Electric Corporation, a Japanese maker of motors and industrial robots, and would introduce its first products in March. Current conversion modules are based on silicon, a material that Mr. Mishra said was “running out of steam” in its ability to more efficiently convert power at high voltages. He compared silicon-based power conversion modules to a dimmer switch that stayed warm even as it lowered the lights. A gallium nitride power conversion module is akin to a standard light switch that completely cuts the flow of electricity when turned off.